Another crazy week, but still decent progress. 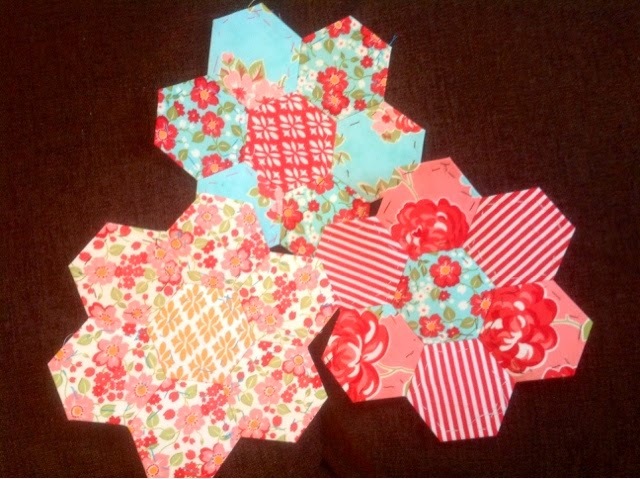 I was able to complete 3 flowers and baste 15 border hexagons. 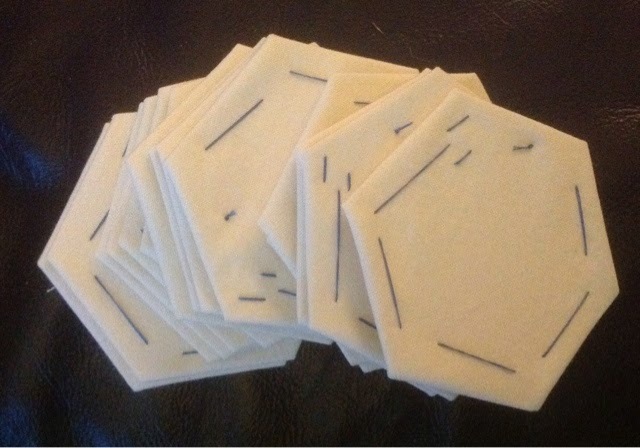 I really enjoy the slower pace of hand-stitching when everything around me is so crazy busy! I am linking up with Jessica at Life Under Quilts for the Monday Morning Star Count! Hope everyone had a wonderful Mother's Day and can't wait to view everyone's progress! it's been so warm in indiana this week, i love autumn colors as a general rule but am so envious of your summery color palette... turquoise & coral, what's not to love. gorgeous work! Looks like Bonnie and Camille fabric. Love their lines. It is! It is the Marmalade line and I adore it, but like you, I adore all their fabric lines. It seemed like a perfect fabric to get that authentic Grandmother's Flower Garden look. Thank you for stopping my and commenting!